FE Modeling team is well experienced in 2D MESH, 3D MESH. By understanding the demands of our patrons in the best possible way, we are increasingly engrossed in offering Meshing Analysis to our clients. Delivered in tune with the principles, norms & standards defined by the industry, these services are enormously in demand. Due to their cost effectiveness, these provided services are hugely treasured. We offer a complete grid generation service for FEA, CFD, or any other discrete methods. The mesh consists of triangular elements connected with nodes, and provides the basis for the analysis. - We have Component Level, Assembly Level Modeling Experience. 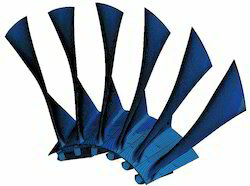 Various analysis techniques are crucial to mechanical design optimization. Our team has successfully used Finite Element Analysis (FEA), Kinematic Analysis and Vibration Analysis besides challenging meshing projects for engineering machinery and automotive sectors. Fusion Mesh, Mid-Plane Mesh and 3D Tetrahedral Mesh We have extensive experience with all Moldflow Mesh types and able to supply other Moldflow users with a high-quality accurate mesh ready to run. We convert the most complex CAD geometries into sophisticated FEA models for Moldflow Analysis simulation.